When browsing online, everyone leaves two sets of footprints. Most, if not every website keeps track of web visitors. Which is why most ask you to accept, click yes or agree to cookies, whereby they leave a cookie in your browser cache in case you come back. Cookies make it easier for companies to sell things to you. Most websites also use analytics, so even if they don't track individual users, your presence is noted and registered somewhere. These traces of your online journey are stored in the servers of websites and third-party software. 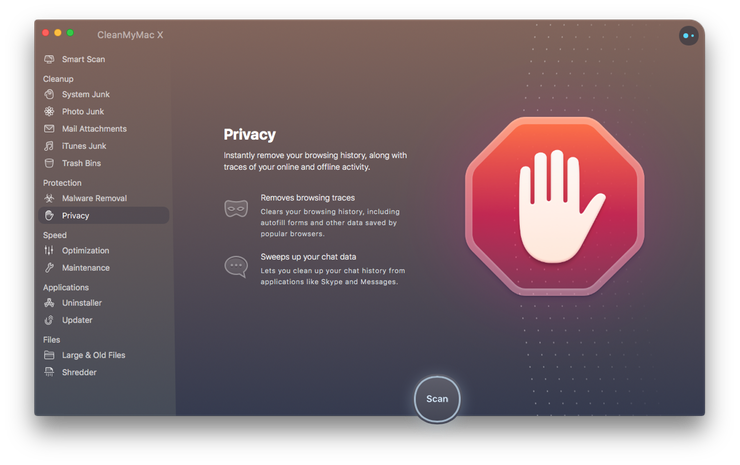 You can hide your presence online using encrypted Virtual Private Networks (VPNs or Tor;) but, at the same time, what about your browser history on your macOS? Safari and every other web browser keeps a history of everywhere you’ve been online, including every link, every login and email. For a number of reasons, you might prefer to keep these private. To do that, you need to switch to private browsing in Safari. When security is important, CleanMyMac X is a valuable ally. Use private browsing and never worry about your history; all removed with a few clicks. Download the app for free to get started. Private browsing in Safari doesn't prevent websites from tracking you are knowing you’re there. It won’t prevent the government from tracking a person, if they are trying to evade the law either. Private browsing won’t remove geo-location data, your IP address or location. 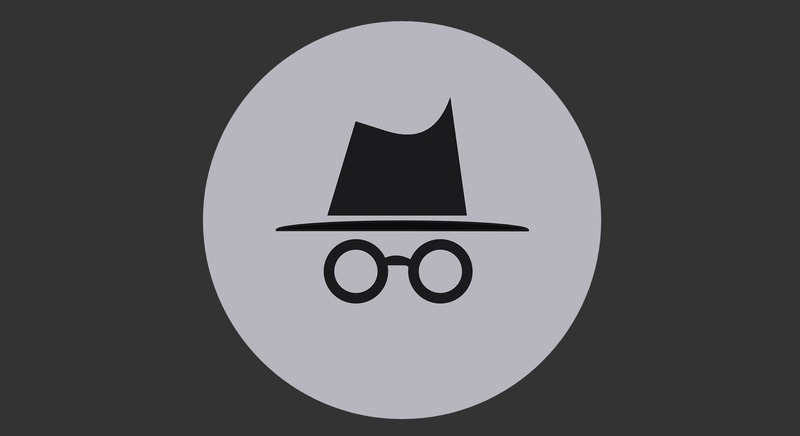 Private browsing simply ensures that at home, or wherever you are, your browser (and your macOS) is not recording where you’re going online. This also prevents anyone else who shares your Mac from knowing where you’ve been, alongside any devices your Mac is synced with, such as an iPhone, iPad or any other Mac. With shared settings and iCloud, it’s easier now than ever to have data sync between devices. Another reason to use private browsing is to prevent websites with dynamic pricing from charging more. Switching on private browsing is good for your wallet! With Safari incognito mode, preventing higher prices and data sharing is easier than ever. Firstly, one way you can do this is clear your browser history, in Safari settings. But you'd need to remember to do this every time, which could be a nuisance. Secondly, there’s another way to to make Safari private while browsing. When you are online, go to the top menu. Go to File > New Private Window from the menu bar (Another way to do this is to click Shift-Command-N using your keyboard shortcuts). A new blank Safari window will open. It looks like any others, except the address bar is darker. Safari will also display that this is a private browsing window in the top. Now, if you open other tabs, they should also appear in private mode. If not, then repeat the process above. Once you close the private browsing mode windows/tabs, you will see that none of the data was recorded in the browser history. Another way to do this is to set up Safari to always browse in private mode. Launch Safari and go to Preferences from the menu bar (or use the keyboard shortcut, Command-[comma]). 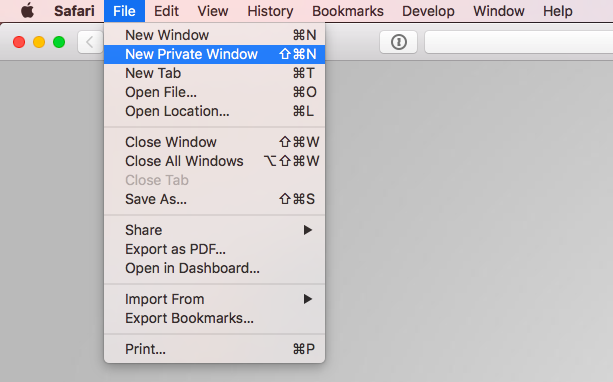 From the General tab of Preferences, locate the drop-down option called Safari opens with and set this to A new private window. And what about Skype and chat history? Wipe browser history — as far back as you want. Isolate a specific period or wipe it right back to when you first got your Mac. Clean cookies, downloads history, browser extensions, saved passwords, autofill values — completely removing any digital footprints in browsers. You can also simply and easily remove Skype and message histories, attachments, conversations, calls and lists, for dozens of messenger apps. Any trace left on your Mac can be removed, in only a few clicks. 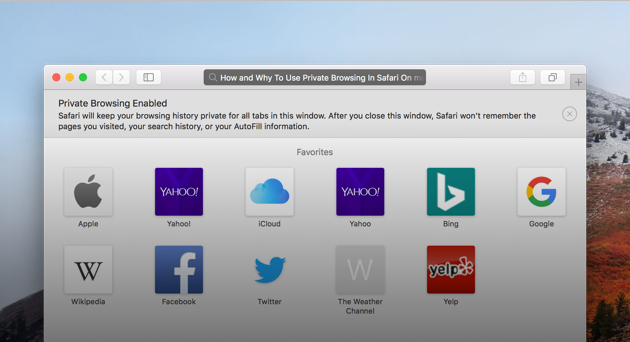 Whichever method you use, you can now maintain Safari private browsing. 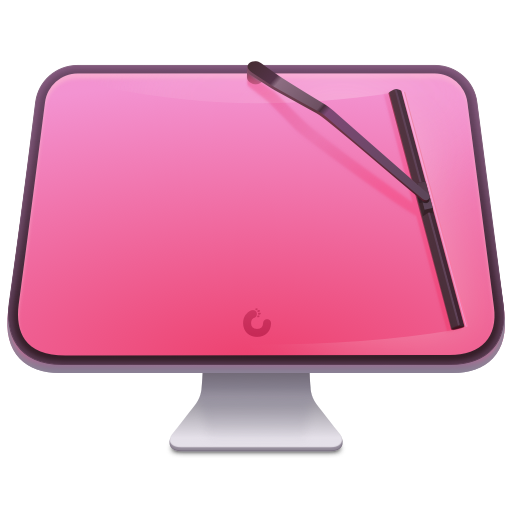 Should you ever need to give your browser history a thorough clean, which also helps remove excess email attachments and dozens of cookies and other Internet junk, use CleanMyMac X. Get your Mac back to peak performance, speed and make yourself more productive, making the files, attachments and documents you need easier to find.